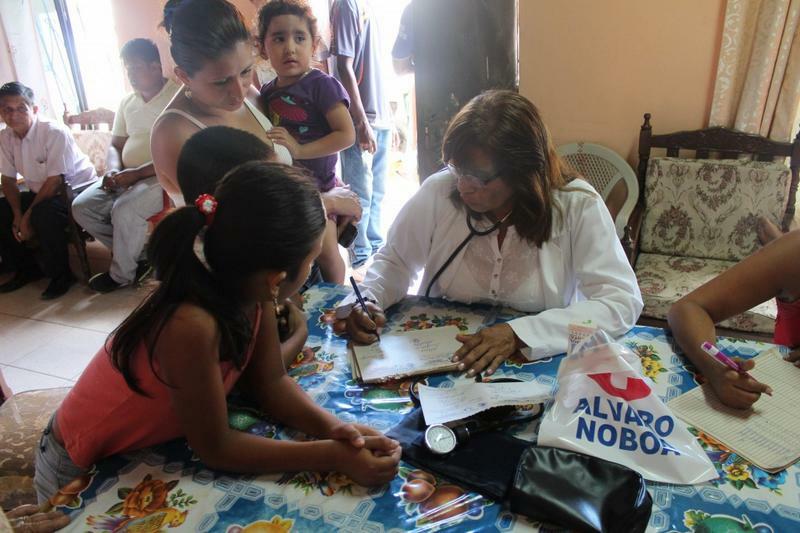 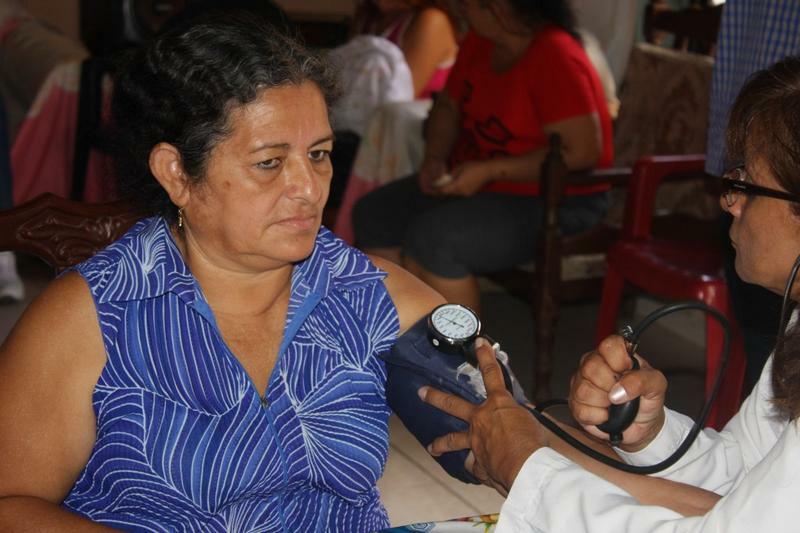 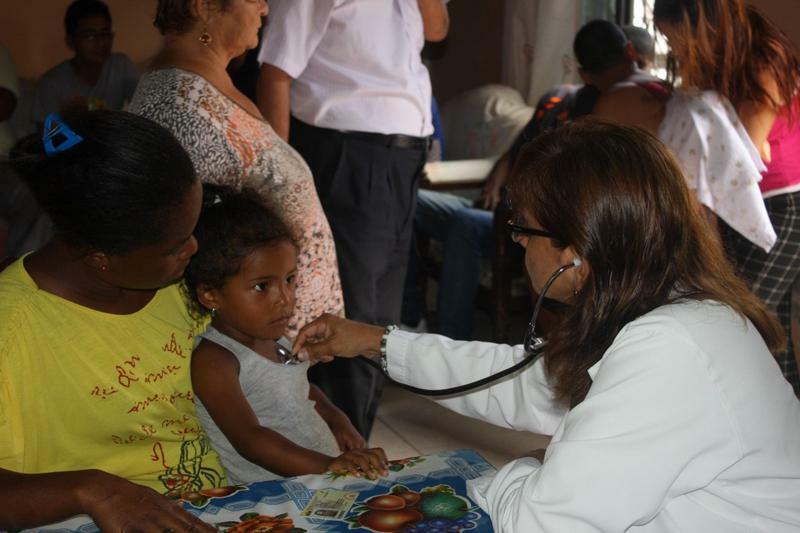 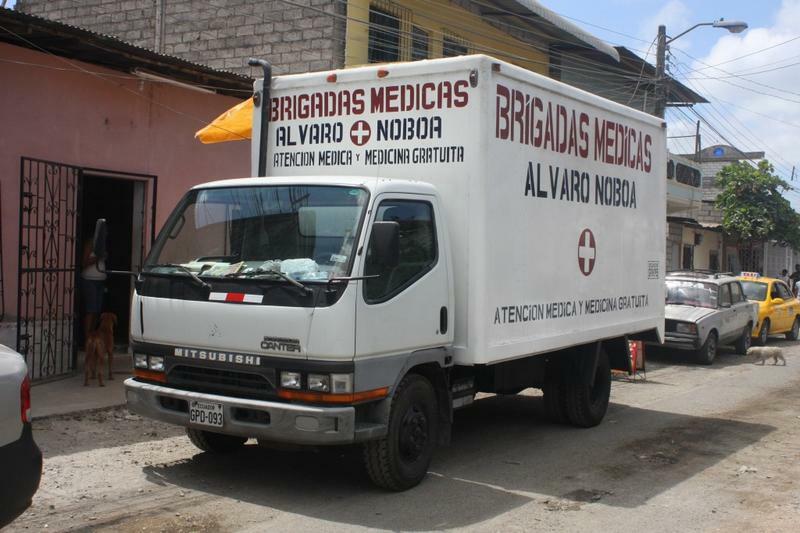 This tuesday, November 5th, the medical brigades of the Foundation Cruzada Nueva Humanidad (FCNH), lead by Attorney Alvaro Noboa Ponton, provided medical attention to 125 people who inhabit the Cooperative Mariuxi Febres Cordero, located in the Guasmo Sur sector in Guayaquil. 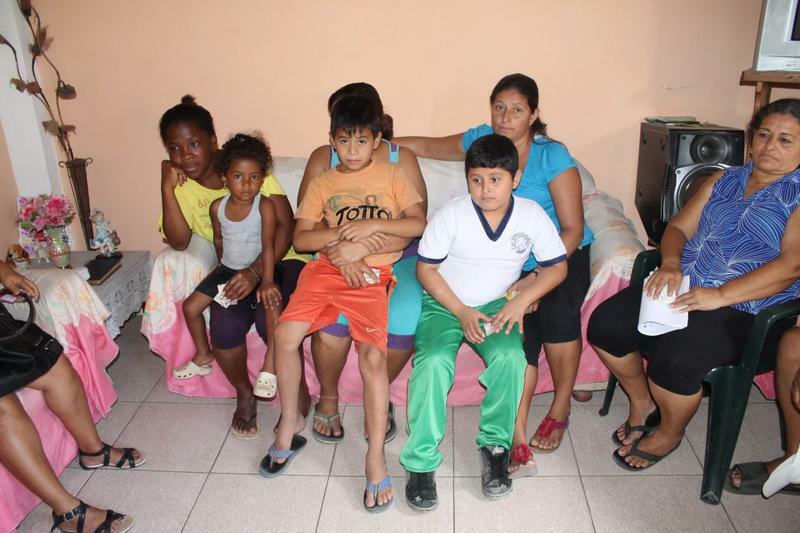 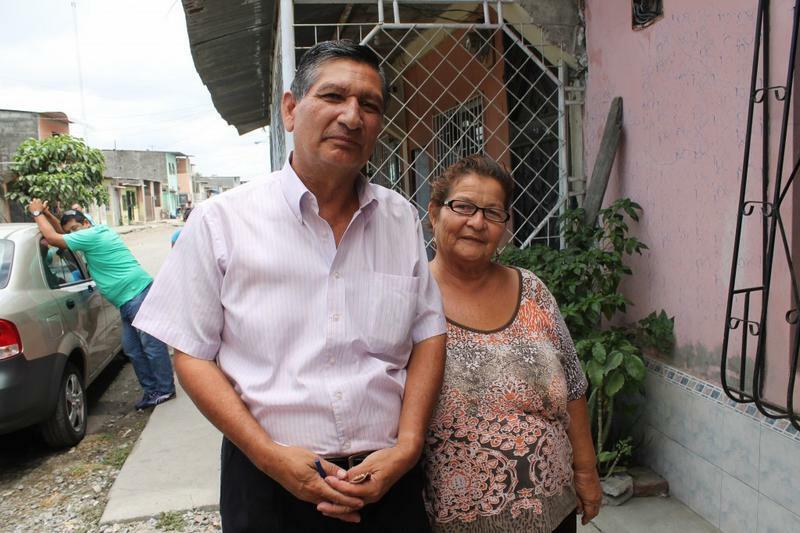 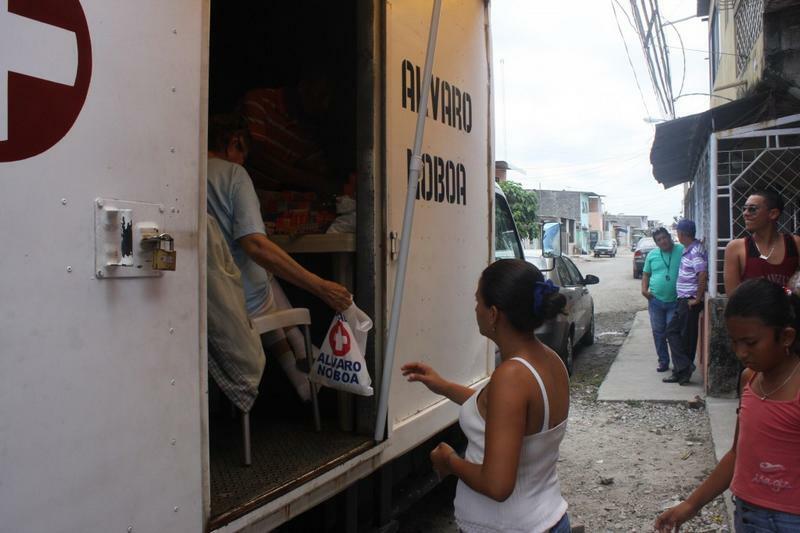 The brigades settled in the home of Ana Carrillo, main representative of the social group Unidos Venceremos Siempre, which has been working alongside the Foundation for more than 20 years. 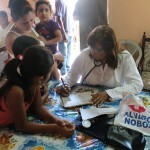 One of the persons who received the medical care was Marjorie Barres. 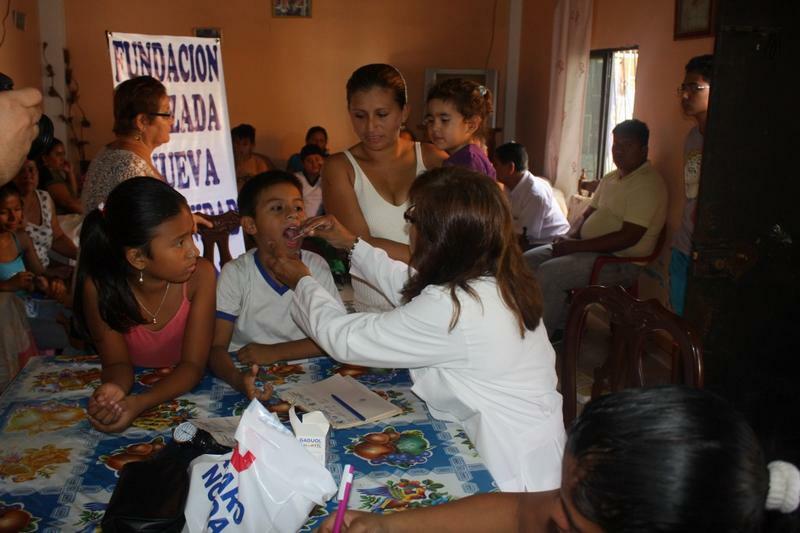 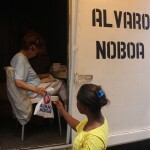 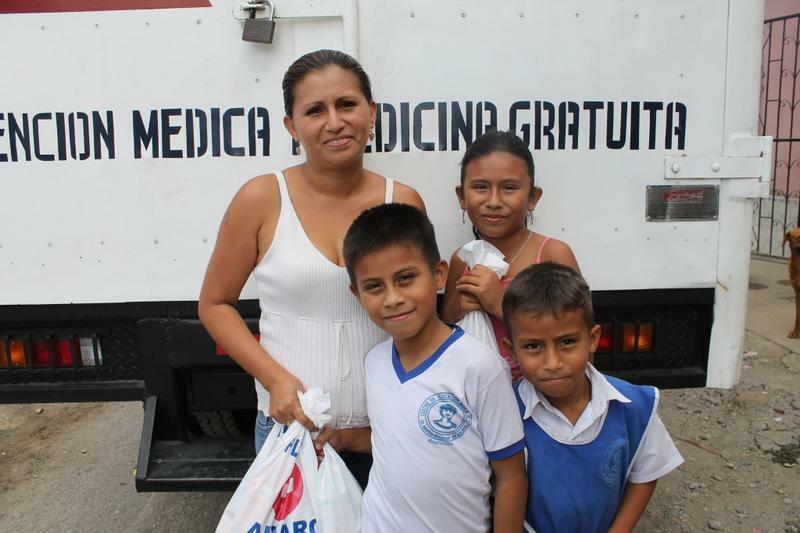 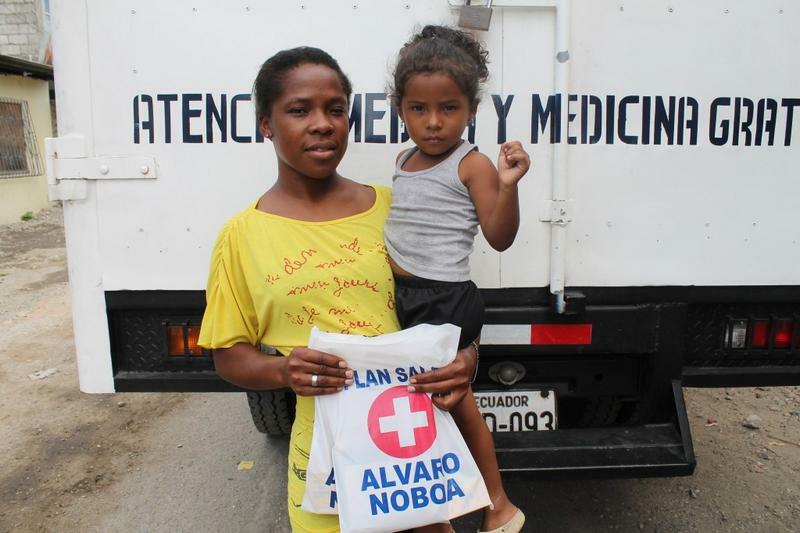 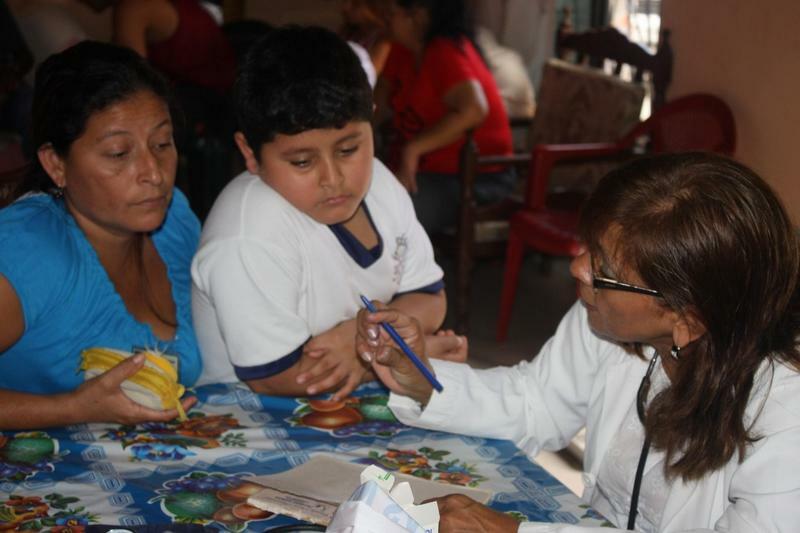 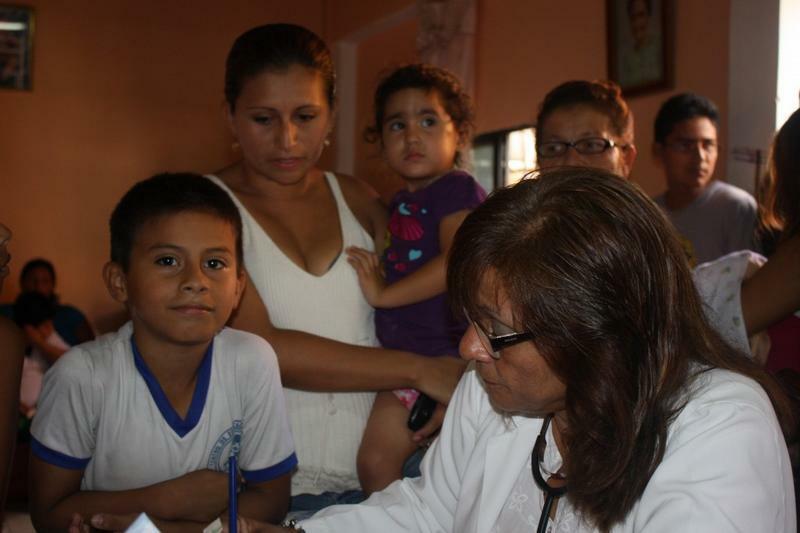 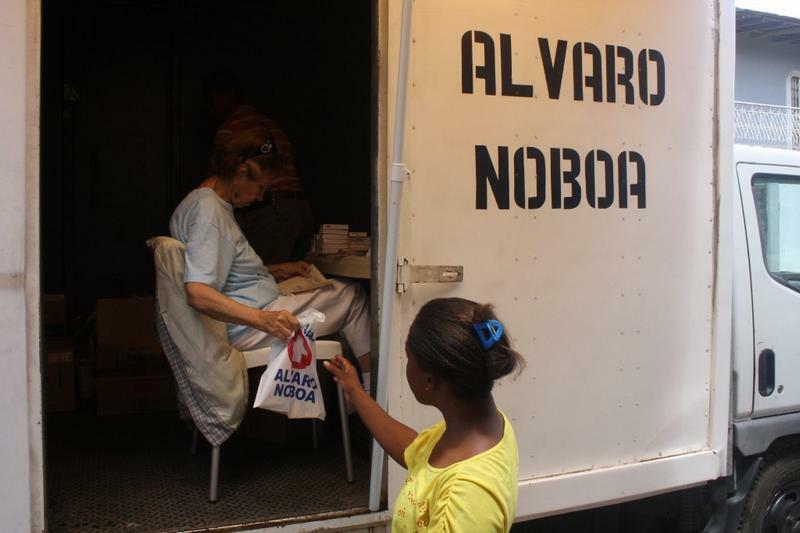 This is the second time she receives the help from the medical brigades; she and her little ones got a prescription to treat tonsillitis and flu; her other daughter received medicine for stomach cramps. 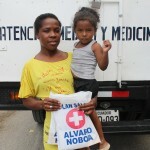 Another beneficiary was Yadira Mira, received vitamins for her daughter of 3 years old. 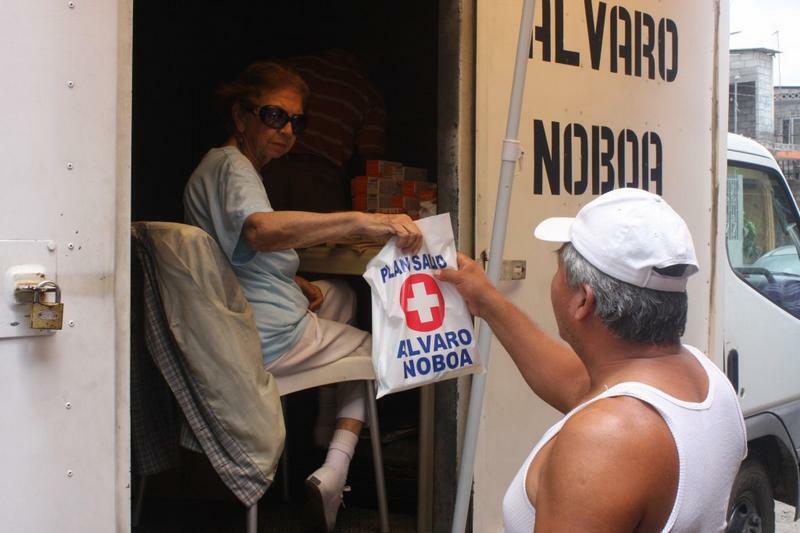 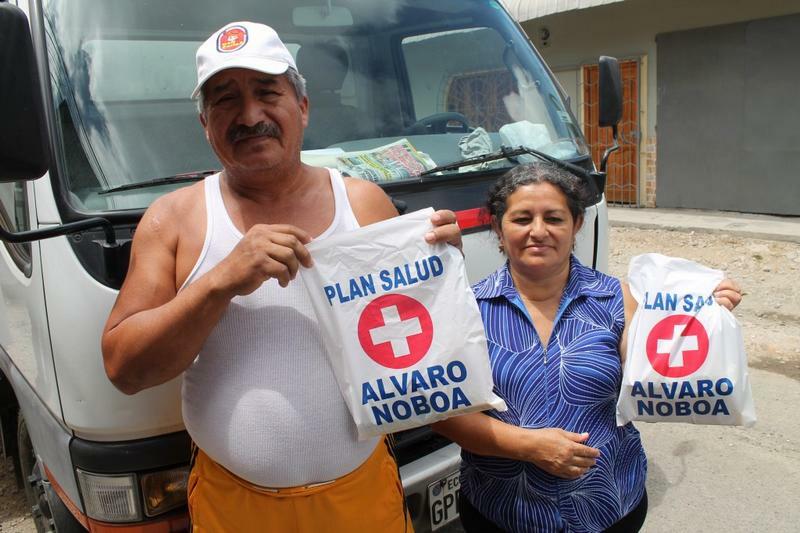 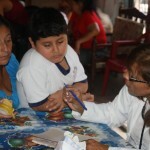 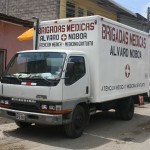 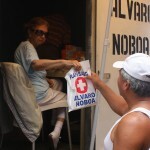 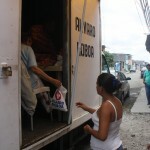 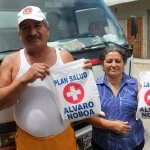 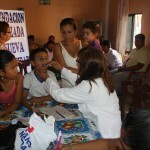 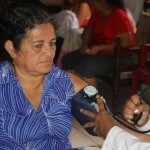 While Segundo Barres received medicines for his high blood pressure and diabetes. 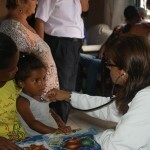 Dr. Virginia Clavijo carry out check ups on every patient. 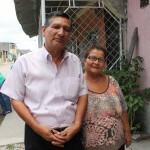 Mr. Angel next to Ana Carrillo, leading representative of the social group Unidos Venceremos Siempre.